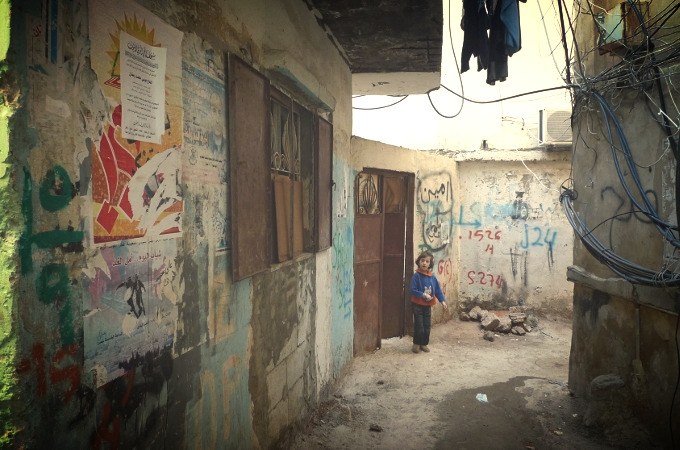 Bourj El Barajneh Palestinian Refugee Camp in the south suburbs of Beirut, Lebanon. There’s been an onslaught of concern for my safety. I understand that the Gaza and The Islamic State coverage is putting fear into our hearts. I appreciate the concern for my safety and my well-being, and I understand where people are coming from, kind of. But, I want you to think about what’s not being covered in Syria or Lebanon or Egypt to add to the chaos in the region. My question back has been, “Why wouldn’t I go?” I actually know far better what I’m getting into after having lived in the Middle East for a while. Sometimes things look far worse on the outside than from the inside. Sometimes things are far worse on the inside than they look from the outside. It’s hard to tell. But, why would I let that stop me? If I am following Jesus and have a heart for these people and am supposed to serve them, do I bail now? Just because things might be uncomfortable or might, and hear me on this, might explode into violence. Does it mean I serve people when it’s convenient or safe for me? Is that how I live out my faith? Is that how I love? I’ve been really convicted about this as someone who professes to be a Christian. Is my primary concern keeping myself safe, keeping the people I love safe, and keeping my stuff safe? Am I to make sure I have enough -- enough shelter, food, and money? Or, is it to serve and care for others (regardless of who they are) who are suffering? I’m not sure what awaits in the Middle East; that unknown brings a level of excitement and anxiety. And, of course, there is a certain level of fear I’m dealing with. But, I am sure that for me to live out my spiritually, my love for God, and my calling in life, I need to be where the Palestinians are. I need to experience life with them in their situations and know firsthand what their needs are, what their hopes are, and what their hurts are if I am to serve them well. This is what I’m sure of -- their lives are precious. They are image bearers of the living God. They matter. They are worth serving. They are worth loving. Even in the midst of so much violence, fear, and hate. They are worth it. The quote from Mother Teresa at the beginning is a reminder about how we tend to forget that we belong to each other. I belong here and I belong there too. I feel that tension. I am thrilled for the next 7 months and can’t wait to see what unfolds. But, I’m also saddened to leave my community here. ‘We belong to each other.’ I belong to you and you belong to me. It’s as beautiful as it is painful. I’m grateful for both. Thank you to all of you who have walked along side of me in so many ways so “we” can belong to them too. This has been a favorite prayer of mine from Celtic Daily Prayer: Prayers and Readings from the Northumbria Community. After this season of blessing and usefulness, Brendan continues his journey. The journey should never be undertaken begrudgingly, but with love and thankfulness.